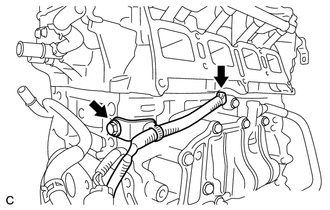 (a) Install the sensor wire with the bolt. (b) Connect the knock control sensor connector. (a) Install the No. 1 and No. 2 water by-pass hoses. (a) Install the bracket with the 4 bolts. 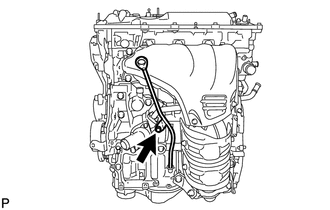 (a) Apply a light coat of engine oil to a new O-ring. 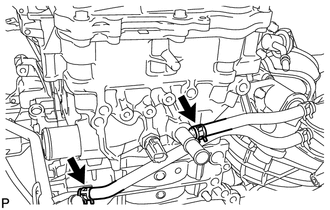 (b) Install the O-ring to the engine oil level dipstick guide. 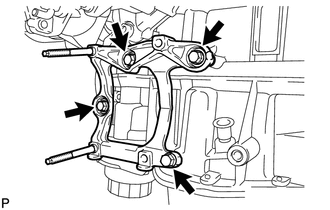 (c) Install the engine oil level dipstick guide with the bolt.